Climate bozos keep popping up all over | Watts Up With That? Climate Alarmism: When Is This Bozo Going Down? Climate alarmism is like one of those pop-up Bozos. No matter how many times you bop it, up it springs. In fact, the only way to stop it, as most kids learn, is to deflate it. In this case, the air inside Bozo is your and my tax money. Two scientific papers released last week combine for a powerful 1-2 haymaker, but, rest assured, Bozo springs eternal. The first says that human aerosol emissions are not that responsible for offsetting the warming influence of greenhouse gas emissions, while the second finds that the observed warming from human greenhouse gases is less than a lot of people think. We aren’t at all surprised by the first result. The cooling effect of sulphate particulates, which go into the air along with carbon dioxide when fossil fuels (mainly coal) are combusted, was only invoked in the mid-1980s, when the lack of warming predicted by computer models was embarrassingly obvious. This is the kind of thing that the iconic historian of science, Thomas Kuhn, predicted in his classic book, The Structure of Scientific Revolutions. When a scientific “paradigm” is assaulted by reality, increasingly ornate and bizarre explanations are put forth to keep it alive. Sulfates smelled like one of those to us back in the 1980s, and now it looks like the excuses are finally getting comeuppance. The second result also comes as little news to us, as we have been saying for years that the human carbon dioxide emissions are not the only player in the climate change game. The two new papers, in combination, mean that the human influence on the climate from the burning of fossil fuels is far less than what the IPCC’s ensemble of climate models says it is. This also goes for the U.S. Global Change Research Program, the EPA ,and the White House. 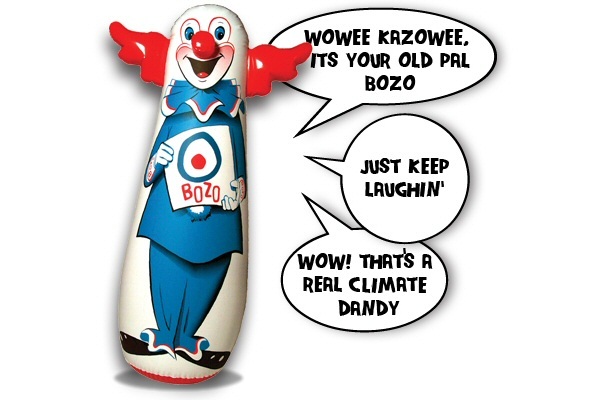 Rest assured, though, Bozo will rise again—despite a near-continuous barrage of blows supporting the idea that the climate’s sensitivity to human greenhouse gas emissions is far too low to justify any of the expensive and futile actions emanating from Washington and Brussels. The aerosol paper describes research by a team of Israeli scientists led by Gerald Stanhill (from the ARO Volcani Center) who examined the causes of “solar dimming” and “solar brightening” that have taken place over the past half-century or so. Solar brightening (dimming) refers to multidecadal periods when more (less) solar radiation is reaching the surface of the earth. All else being equal (dangerous words in Science), the earth’s surface would warm during periods of brightening and cool during dimming. 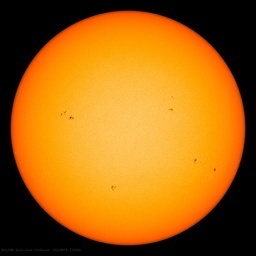 Solar dimming has been reported to have taken place from the 1950s through the 1980s and since then there has been a period of recovery (i.e., brightening). These patterns have been linked by many to human aerosol emissions caused by pernicious economic activity, with heavy emissions leading to global cooling from the 1950s (witness the opaque air of Pittsburgh and London) through the late 1970s and then, as air quality was cleaned up and aerosol emissions declined, an unmasking of the warming impact from greenhouse gas emissions. This is an essential storyline that might as well have been written by Kuhn. Without invoking the previously undiscovered masking impact of human aerosols, climate models predict that far more global warming should have happened as a result of human greenhouse gas emissions than has been observed, even by the 1980s. Behaving more predictably than the climate, federal climatologists, led by Tom Wigley of the University Corporation for Atmospheric Research (hey, we couldn’t make up the name of that exclusively taxpayer-funded monster), relied on the aerosol “knob” to try to keep climate models from overheating. Stanhill et al. have bad news for the feds. In their new paper, they examine the records of sunshine duration as recorded at five observation sites with long-term observations. When comparing these sunshine histories with fossil fuel use histories (a proxy for aerosol emissions) from nearby areas, they find very little correspondence. In other words, human aerosol emissions aren’t to blame for much of the solar dimming and brightening. What may be the cause? Variations in cloud cover. It is concluded that at the sites studied changes in cloud cover rather than anthropogenic aerosols emissions played the major role in determining solar dimming and brightening during the last half century and that there are reasons to suppose that these findings may have wider relevance. This conclusion may be of wider significance than the very small number of sites examined in this study would suggest as the sites sampled Temperate – Maritime, Mediterranean, Continental and Tropical climates,… and covered a wide range of rates of anthropogenic aerosol emission. The implications are that human aerosols have played a lot smaller role in the global temperature variability of the past 50 years than is generally taken to be the case. And if human aerosols are not responsible for muting the expected temperature rise from greenhouse gas emissions, then it seems that the expected rise is too much. That is, the earth’s temperature is less sensitive to rising greenhouse gas concentrations than forecasted by governmental climate models, and therefore we should expect less warming in the future. The second paper, published last week in Science, is yet another study trying to explain the “pause” in the rise of global average surface temperatures. Using annual data from the University of East Anglia temperature history—the one that scientists consult the most, we are now in our 18th year without a warming trend. University of Washington’s Xianyao Chen and Ka-Kit Tung found that a naturally occurring change in ocean circulation features in the Atlantic Ocean can act to enhance or suppress the magnitude of heat that is transferred from the surface into the ocean depths. The authors find that this natural cycling was responsible for burying additional heat since the late 1990s while maintaining surface heating during the previous three decades. Coupled with earlier research (Tung and Zhou, 2013), they figure that a substantial portion (~40%) of the rise in the global surface temperatures that has occurred since the mid-20th century was caused by natural variability in the circulation of the Atlantic Ocean. The implication here is pretty clear—the role that human greenhouse gas emissions play in the observed warming isn’t what it was cracked up to be. And, with a little nudge from other variables—like the sun—the quaint myth that “all scientists agree that the majority of warming since 1950 has been caused by human activity” does look more and more like another pop-up Bozo. Taken together, the two paper combination strikes a haymaker to the alarmist mantra—that dangerous climate change will result from greenhouse gas emissions. The Stanhill paper suggests that the projected warming wasn’t so masked by sulfate aerosols, and the Chen and Tung paper argues that less of the warming is due to a human influence anyway. This combination—greater warming pressure and less temperature change—means that the IPCC and federal climate models are just way off. Going forward, we should expect much less human-induced global warming than government-fueled climate models project. If this refrain sounds familiar, it is because we find ourselves frequently reporting on the subject of the earth’s climate sensitivity (how much warming results for a given input of carbon dioxide). This issue is the biggest key to understanding anthropogenic climate change, and, because evidence continues to mount that the climate sensitivity is much less than advertised, there will be much more where this came from. But Bozo, inflated by public monies, will spring eternal. Chen, X., and K-K Tung, 2014. Varying planetary heat sink led to global-warming slowdown and acceleration. Science, 345, 897-903. Kuhn, T. S., 1962 (and reprints). The Structure of Scientific Revolutions. University of Chicago Press„ 174pp. Tung, K-K., and J. Zhou, 2013. Using data to attribute episodes of warming and cooling in instrumental records. Proceedings of the National Academy of Sciences, 110, 2058-2063. August 27, 2014 in Aerosols, Climate sensitivity. Thomas Kuhn, predicted in his classic book, The Structure of Scientific Revolutions. When a scientific “paradigm” is assaulted by reality, increasingly ornate and bizarre explanations are put forth to keep it alive. Sulfates smelled like one of those to us back in the 1980s, and now it looks like the excuses are finally getting comeuppance. Lines to read before and after realising that it’s a big difference between a “paradigm” and a sound thesis. The former can be all and nothing. The later call for new analyse of old “results” whenever new information about our World gets up on the table…. Thanks so much for reposting. We really enjoyed writing this one. I don’t know why I hadn’t thought of the pop-up Bozo image before! Neither do I. I do understand that you enjoyed writing that one. Wish it had been me who done it. The science was settled and debate over a decade ago. Since then, the objective has been to push the “save the world” agenda thru with all the regulations and adjustments to our evil fossil fuel burning ways. This is and will be completely counterproductive, not only to our way of life but to our booming biosphere, improving global vegetative health and world food production that has resulted from the increase in CO2 from less than 300 ppm to 400 ppm. The real harm is being done to the young minds being brainwashed with junk science about CO2. Sunshine +H20 +CO2 = O2 + food(sugars) just add some minerals from the soil and you get what we were taught in elementary school about photosynthesis. An excellent post, made very understandable for a layman like me: a model of clarity in fact. Thanks a lot. You mustn’t be a bozo! When we are able to charge the hidden hands that keep shoving these Bozos in our faces, that will be when CAGW is over. Unless the fools and bandits who enabled this mass hysteria are punished, they will simply slide on to the next UN scheme to separate working people of their wealth and freedoms. The fingerprints of our Kleptocrats are all over this mess. CAGW orchestrated, propagated and protected. By help I can truly live without. This waste of public wealth and treasure by our governments is the case for voluntary payment of taxes. This toxic beast must be starved, as it is incapable of limiting its own greed. My sentiments exactly. How could we let this go on. How did we keep electing unabashed Greenpeace, WWF, Sierra Club….proxies into government. I think the worst situation here is that we have been tested severely and found to be wussies. Fear of a free and vigilant electorate kept them from even considering trying these egregious totalitarian governing methods. Now there is no fear of the electorate at all. A generation (or two) is in need of re-education – we can’t let a third, pliable, empty-headed generation mature. Universities and other institutions need to be totally redone. UN has to be restored to a talking place as an alternative to war instead of a massive anti-American bureaucracy. Make no mistake. They know they have already tamed and tethered Europe. This would be done by cutting funding by 90%. Science has to be fully audited and corrected. A similar defunding is necessary. The data itself is a generation’s work to restore. Who’s going to do what’s necessary. When we figure that out, probably the most efficient method is to create new institutions and starve out the old. Yeah, Harvard and on down would have to go in their present shaping-for-world-order form. As we have been told ad nauseam “You are few and we are many”. We can’t let anyone forget if and when this is fixed. What is this ‘We’ you keep talking about? Got a mouse in your pocket? If it was up to ‘us’ this would of ended 2 decades ago. But it’s not up to us. The people that run the places are not us. When and were was the vote to continue lying and trying to alarm the public in order to garner more money and power? I don’t remember that hapening. It’s okay, squeeze the wheeze. You know, many people like to….hey, I think we’re all Bozos on this bus! Sad or thrilled that others recognize this Firesign Theater skit……. Never fails. Right after I clicked Post Comment I realized I should have changed my name to Uh, Clem. Um, is this a dumb question or what sir ? Is there some other mechanism besides changes in cloud cover, that atmospheric water negative feedback occurs ?? And just why do you feel change in cloud cover is an implausible mechanism for negative atmospheric water feedback ?? Do you know where clouds come from, and what they are made of (primarily) ?? Sir, isn’t it more pedantically correct, to say that WATER VAPOR, and NOT CLOUDS, gives solar dimming. Clouds, are more like solar blocking / scattering, than dimming. Do you sir, have any ideas as to why TSI is 1362 watt / m^2 , yet the clear air sea level solar insolation is around 1,000 W/m^2; and that’s with nary a cloud in the sky, so it can’t be clouds that dim the sun. Yes we do know that the blue sky that we see looking up from the surface, or looking down from high altitude or space, demonstrates that some of the blue solar radiation wavelengths are scattered by Raleigh or Mie scattering, which causes sea level solar dimming. Hey, we’re just reporting the news–we can’t change what the authors wrote! Lately there are loud voices from the blogroll here that a paradigm cannot be destroyed except by offering an alternative theory that explains things better than the one that exists, even if the one that exits is impotent to do so in reality, and only does so in theory. Fine, fine, good point. But there is one case in which a paradigm can fall without an alternative being offered. That is the fall of fraud by exposure. That is why the distinction is so important between (A) mere innuendo about temperature record up-adjustments that may involve mere bias and the (B) actual outright Enron level brazen pure power play FRAUD of hockey sticks. Now that the latest hockey stick (Marcott 2013) involves no black box confusing that must rely on voices of technical authority for resolution, but simply has no blade in any of the input data, I say FRAUD is the word, the nuclear option having been handed to skeptics, right into their laps. Nonsense. That’s like trying to argue that the use of leeches throughout the Middle Ages was justified because there wasn’t a better medical practice (blood letting) available at the time. I put climate sensitivity around .8-1.0C. The simplest explanation for the global warming pause is that they screwed up the theory. They got one or both of these components wrong. Temp Increase C = Temp Impact per Forcing * Change in Radiative Forcing. The Real Earth ™ is just not responding to GHGs they way they predicted. Both of the theoritical temperature impact components are wrong and the climate science community will not address either of these. The Oceans are absorbing almost none of this predicted forcing increase. It is really just a tiny fraction (0.2 W/m2 to 0.5 W/m2) of the ocean absorption originally predicted in the theory (1.2 W/m2 to 1.8 W/m2) and the amount which would be required to offset the warming (something approaching 1.8 W/m2). My observation is that the theory hasn’t changed since it was promulgated, just advertized and kept like platinum bars preserving the size of the metre and kg, etc in France. It certainly begs the question as to why we need more than one climate scientist in the world if this is the case. Why are we funding 100,000 of them and filling the universities up with climate science students. Why do we need 18 climate institutes in the USA all keeping temperatures and weather forecasting and telling us what catastrophes await us. Why do we have grand gatherings in exotic places if the simple radiative forcing theory is made of platinum. Calamitous Science was handed the formula in 1990 or so and there has been zero progress in this science, only excuses why it doesn’t appear to be working, including : “the data needs to be ‘fixed'”. I note we are seeing fewer of the faithful visiting to harass skeptics. Silence in the formerly prolific scientific papers production from the Team. The growing neuroses manifesting itself among a sizable number of Australian Cli Sci types, soon to spread. 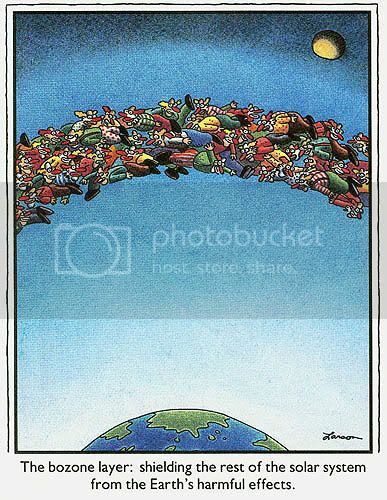 How soon can we start to clean up the mess? One thing worries me about the aerosol study. How was the sunshine measured? The usual method is with a Campbell-Stokes Sunshine Recorder and that’s not going to pick up any “dimming” apart from when cloud passes over. It’s just a spherical glass ball in a holder which burns a paper card. I agree Mike….this was my thought, and I, were I a warmist, would argue that these aerosols might have caused the clouds. Nailed it in the first paragraph. If the republicans would ever grow a pair, they could cut this farce off at the knees. BUt I will not hold my breath. There is no difference between Republicans politicians versus Democrats politicians on this subject. @nate – only the speed. If Republicans were actual conservatives! There is a religious-right dominance in that party ATM. That is not conservativism. Neither of the big American parties can take the moral high ground right now, IMHO. The President is advised by, and aligns with, science bullies; Mrs. Clinton does not understand how science is done; and their opposition kicks and screams instead of taking control. If only we had statesmen like Roosevelt, Churchill or Eisenhower today. Good lord! Roosevelt would have created a vast and expensive government program to sequester Co2 … manually. … with shovels and bulldozers and lots of concrete. Have you read any history of those times? We’re *still* trying to fix some of the problems he started. There is nothing going on out of the ordinary…. It’s wrong to equate Bozo with these alarmists. Bozo was beloved by millions of children and was a respected member of the clown community. And, most important of all, Bozo made it clear from the start that he was a clown. Something the alarmists will never admit. Bozo never hid the decline, tried to deceive people with manipulated data or pseudoscience. Bozo had honor. To compare him with the alarmists is a Bozo no no! the sun which SHRINKS (matter becomes energy) as it gives us life-giving light. that life would be a LOT cooler on this planet earth. after his many MMGW rants tell all who know science…this is a HOAX. Its the sun, son. Follow the money honey. OzBama cannot change the weather. Also one of the ALL-TIME MOST BRILLIANT PHYSICISTS speaks on MMGW….note it well! Egad you are correct. I have broken millions of hearts with my foolish imagery. But, truth be told, I’d do it again. I think we can all get a lot of mileage out of this motif. It’s the notion the alarmists pop up for more punishment. Maybe we can photoshop a Mike Mann popup? Will that suffice? Only need some realistic leadership, like Australia, the stop the funding and stomp out the NGO weebles. Republican pres. Bush refused to attend climate summit, msm reported huge protests, turns out those concerned citizens were paid ngo’s. The dumicrats are all in this scam. Cape wind donates 1000’s to mass democrats. Two scientific papers released last week combine for a powerful 1-2 haymaker, but, rest assured, Bozo springs eternal. All this matters NOT . As the warmists experience climate frustrations that their agenda is NOT being paid attention to by planet Earth, they appear to be exercising their Chameleon option, slowly or not so slowly changing their climate color – light yellow now, heading towards a pale blue. Besides the Team has the fall back strategy of boldly announcing at some point in the future that they erred only in the sense of the most holy position of overprotecting our environment – right or wrong was not an issue. These people will NEVER admit they were wrong – don’t waste your or my time trying to act in anticipation of a ‘ exorcism ‘ moment – it just isn’t going to happen. I sometimes wonder what it would be like on an earth like planet orbiting a varible star. Some can wink on and off in a matter of days. So far we know our star varies extremely little, but enough to be measureable. So I wonder if in times past it may have varied a bit more even more so than the Maunder minimum or the Roman warm period. One would need thousands of years of direct solar study but I would wager significant solar changes caused significant climate variations with no CO2 involved. The Kuhn paraphrase- When a scientific “paradigm” is assaulted by reality, increasingly ornate and bizarre explanations are put forth to keep it alive- is way too generous. The high climate sensitivity, catastrophic scenario has been promoted as “the science.” No, it isn’t the science, and it isn’t the paradigm. It’s merely an hypothesis getting very little support from mother nature! Unlike the other promotion- climate change- global warming is a falsifiable hypothesis. As the kids in the back seat always ask, “Are we there yet?” Pretty soon sonny. Despite 1/3rd of all man-made CO2 emissions since 1750 being emitted over just the last 18 years, global temp trends have been flat for 18 years and falling for the last 14 years. 1) the sun is in its weakest solar cycle since 1906. 2) the next solar cycle, starting around 2020, is expected by some astrophysicists to be the weakest since the Maunder Minimum in 1715. 3) the strongest 63-yr string (1933-1996) of solar cycles in 11,400 yrs ended in 1996. 4) the 30-yr PDO cool cycle started 2005. 5) the current 30-yr AMO warm cycle (which started in 1994) is starting to winding down and will enter into its 30-yr cool cycle around 2024 (perhaps sooner). 6) during 30-yr PDO cool cycles, fewer and weaker El Niño cycles occur (only 2 El Niño events since the 1998 Super El Niño). 7) during 30-yr PDO cool cycles, La Niña events become cooler and more frequent. 8) as the 30-yr AMO warm cycle winds down, Arctic sea ice should recover, which we’re already seeing, and Arctic temps will begin to fall. Rather than CAGW grant hounds and political hacks admitting the above realities and acknowledging CO2 has a MUCH weaker impact on Earth’s climate than hypothesized, they’ve come up with 39 excuses as to why their CAGW hypothesis is in a coma…..
Hilariously, the CAGW grant hounds are getting so desperate, they’re now implying that once all the aforementioned cooling cycles re-enter their respective warm cycles in about 20~30 years, the CAGW hypothesis will magically recover from its coma, and, ummm…. start “working” again…. Jeez…. I really believe it will come sooner than that if we have a couple of hard winter’s and Obama’s War on Coal drives utility costs up as a double hit to people. The US public will not stand for being duped as they freeze and their electric bills skyrocket. I see 2017 as a pivot time for Climate Alarmism collapse. But I hope it is actually 2016 to influence the US Presidential election. Joel– As long as observed data lies within CAGW’s hypothetical 95% confidence intervals, it can’t technically be disconfirmed. The duration outside of the 95% confidence interval must also persist for a statistically significant time. This is about the only card the warmunists have left to play and it’s a very weak hand at that. The warmunists will obviously try to lower CAGW projections to keep observations within the 95% confidence intervals, but then their “settled science” argument starts to implode they’ll look ridiculous. The CAGW hypothesis is already starting to fail the giggle test. Once CAGW dogma becomes a political liability, it will mysteriously lose favor among politicians and CAGW grant funding will start to diminish. When the CAGW money train leaves the station, scientists will begin to feel safe enough to start speaking out against CAGW without fear of reprisals, and once this point of singularity is reached, the CAGW hypothesis will collapse quickly. Once the “cool skeptics” reach around 40% + “mix-middle” hits around 30% for a combined total of around 70%, CAGW is dead. The political impetus will die, CAGW funding will dry up and timid scientists will come out of the woodwork to denounce CAGW. It’ll all happen pretty quick. Another Climategate scandal would be nice to get the wheels to fly off this old dilapidated CAGW bus, but even without a scandal, the empirical evidence is hammering bits and pieces off its frame. Well nothing ever stops Bosons; excuse me, that’s Bozos ! They will stop at nothing. So these chaps finally figured out fairly definitively, as in “look at dat ! ” just how the rocks move on a flat dry plain in Death Valley. Well actually you see, they don’t. They move in an icy mud puddle. In the winter, this place gets to be a puddle a few inches deep, and at night, ice freezes on the surface around the rocks. In the morning, the sun starts to melt the ice, and it breaks up, with a sheet of thin ice floating around the rock, get blown by mild winds of maybe 10 MPH, and those thin ice sheets drag the rocks across the mud slippery bottom. So they put GPS on some rocks, and actually watched them slide a few inches per second. Still a rare event. NEWS FLASH ! Sliding rocks, to become even rarer event, due to CLIMATE CHAMGE !! Yep, they really done said that. That should about peg the Bozometer, I would think. at least we’re used to. Instead of Climate Bozos, how about Climate Pinocchios? Just as the wooden puppet dreams of becoming a real person, and lies a lot the Climate Pinocchios can only dream of becoming real scientists someday, and are compulsive liars. Nah. With the exception of persistence, there is very little in common. Because alarmists take themselves for children of Gaia, Typhon springs to mind. Warmy’s wobble but they don’t fall down.